If you like Norse mythology, you already know you need to read this book. If you've never read a word of it, get ready for a vastly entertaining ride! This book is by turns, colloquial, poetic, and downright hilarious - but always clever, as befitting its clever narrator. 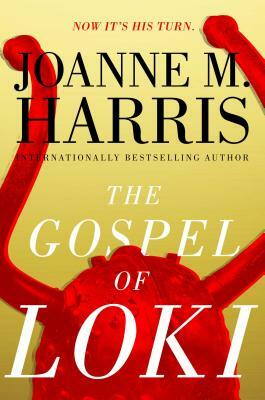 All the classic tales are here, retold with humor and sass and page-turning immediacy - and of course antagonist Loki's spin on things. I really enjoyed this one! "If everything you know about Loki begins and ends with the actor Tom Hiddleston, this book is for you. The way Harris writes him, you can’t help but like him, even as he confesses to the most absurd and/or horrific deeds; well, you like him, but you wouldn’t really want to be acquainted with him—being his enemy or his friend seems equally dicey. One has to admire the author for imposing her own take on the character."